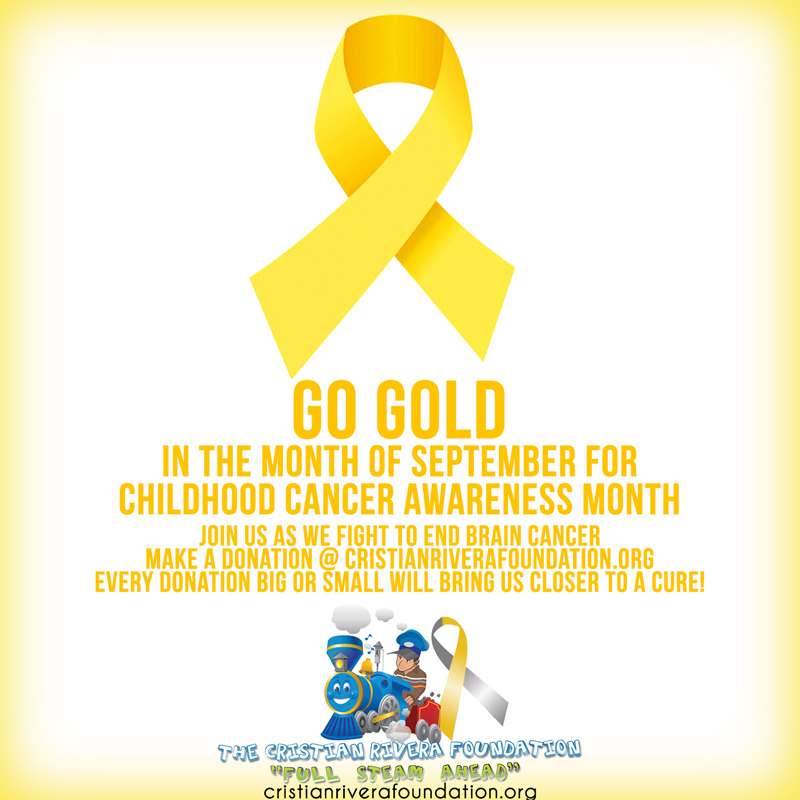 Every Donation Big or Small Will Bring Us Closer to a Cure! Philanthropists, celebrity guests and more came together in support of the Cristian Rivera Foundation last night for the foundation’s first-ever New Jersey fundraiser at Zylo Tuscan Steak House in Hoboken. All proceeds from the event went towards the Cristian Rivera Foundation’s goal of curing rare, inoperable pediatric brain stem tumor Diffuse Intrinsic Pontine Glioma (DIPG). Cristian Rivera Foundation Committee Member Andy Epstein and Zylo manager Kevin Hayes organized the event, which featured entertainment from Sinatra Idol winner Eric DeLauro (www.SinatraIdol.com) and hot new singing sensations Tyler Reid and Stevie G (www.youtube.com/tylernstevie). Guests also enjoyed three hours of passed hors d’oeuvres, as well as specialty cocktails from Stoli Vodka and first-class tastings provided by Artesa Winery and Macallan Scotch. Many esteemed and noteworthy guests were on hand at the sold-out event, including Real Housewives of New Jersey star Danielle Staub and Saturday Night Live Star and Cristian Rivera Foundation Committee Member Kenan Thompson. Some of Thompson’s fellow Committee Members who attended the event included actress and founder of the Puerto Rican Traveling Theatre Miriam Colon, founder and CEO of AM PM Entertainment Concepts Vito Bruno, Information Technology manager Steve Cox, founder of Bronx Base Builders William Padilla, interior decorator Solange Osorio, concert impresario Ralph Mercado, businessman Elis Pacheco, and Celebrity Chefs Alex Garcia and Ricardo Cardona. Fresh off the Stanley Cup Finals, New Jersey Devils Captain Zach Parise made a surprise appearance to auction off an autographed hockey stick and jersey, as well as once-in-a-lifetime photo opportunities with guests. The auction also included rare autographed items from Cake Boss Buddy Valastro and home-catered meals provided by Chefs Garcia and Cardona, among other items. 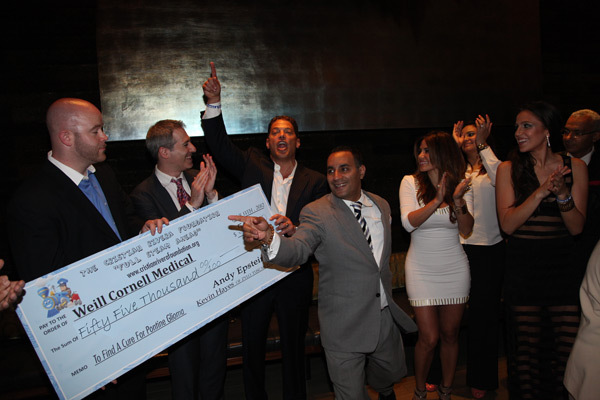 In all, the Cristian Rivera Foundation raised $55,000 to help fund the groundbreaking clinical trials led by Dr. Mark Souweidane at Memorial Sloan Kettering and Weill Cornell Medical Center. Dr. Souweidane operated on the first patient in his trial—a beautiful 4-year-old girl—on May 1, 2012, the first day of Brain Tumor Awareness Month. Dr. Jeff Greenfield, who works alongside Dr. Souweidane in his quest to cure DIPG, attended the event and gladly accepted the $55,000 check from Epstein, Hayes and Cristian Rivera Foundation founder John “Gungie” Rivera. Since October of 2010, the Cristian Rivera Foundation has donated more than $200,000 to Dr. Souweidane’s pioneering research. 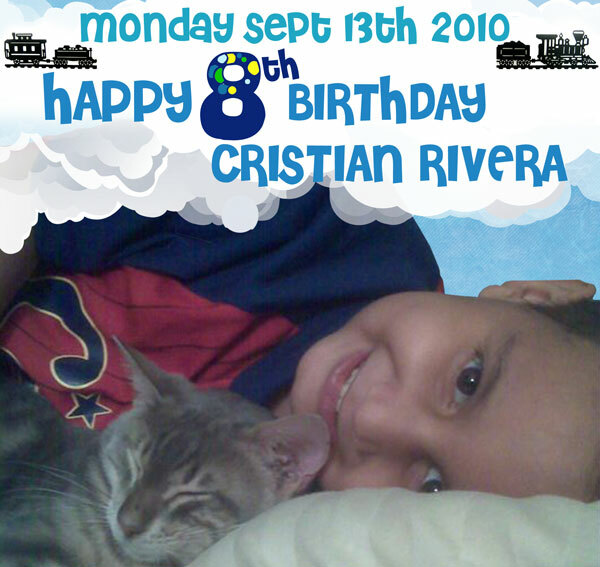 Monday September 13th 2010 is Cristian Rivera’s 8th birthday and this year the official National Childhood Cancer Awareness Day falls on the same day. 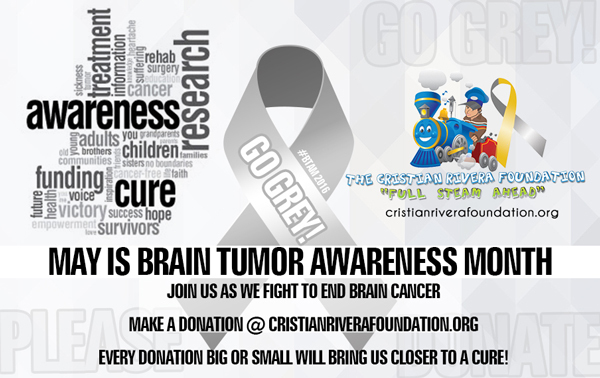 Please take a moment to remember Cristian Rivera and support the Cristian Rivera Foundation so that we may save the lives of 300 kids a year, and allow them to celebrate their birthday with their loved ones.